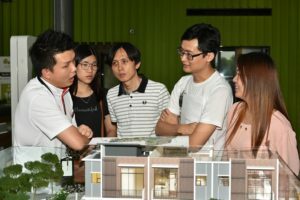 SP Setia Bhd launched the third and final phase of its Horizon Residence project within the popular Setia EcoHill development in Semenyih, Selangor, last weekend. The Gloris Collection represents the final opportunity for buyers to be a part of this burgeoning green community, offering just 77 units of comfortably-sized superlink homes. The event also invited guests to partake in an exclusive preview of Club 360°, a clubhouse complex that is designed to be a social catalyst for residents. Perched atop the highest point of the Setia Ecohill vicinity, it offers a 360-degree view of the entire Setia EcoHill vista, as well as rooftop dining amenities, a multisport centre and an Olympic-sized pool. Club 360° is designed to be a social catalyst for residents. General manager of Setia EcoHill, Koh Sooi Meng, was present at the launch to welcome visitors and give buyers a preview of Club 360°, while an in-depth look at the development was moderated by Ar. Boon Che Wee of GRA Architect. 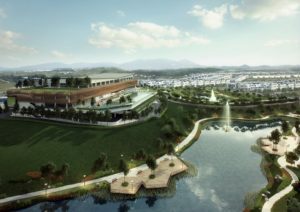 Koh said Setia EcoHill takes pride in its extraordinary masterplan which is based on a “Live Green! DNA”. It comprises comprises eight principles of sustainability to ensure an ideal setting for a sustainable lifestyle in the township, interwoven with the importance of comfort and modern conveniences. In the wake of the success of the first two phases of Horizon Residence – Grandlis and Floris – the Gloris Collection is an all-inclusive residential development in the blueprint of this eco township, continuing the strong focus on holistic living. With just 77 units of superlinks in the freehold neighbourhood, Gloris provides the exclusivity and privacy amidst a natural environment and beautifully landscaped parks. 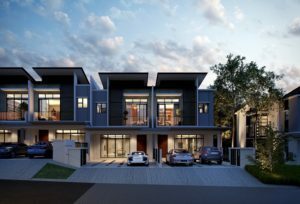 The double-storey units come in two size options of 23.6ft by 76ft and 23.6ft by 86ft, the double-storey priced from a reasonable RM 848,000 onwards. 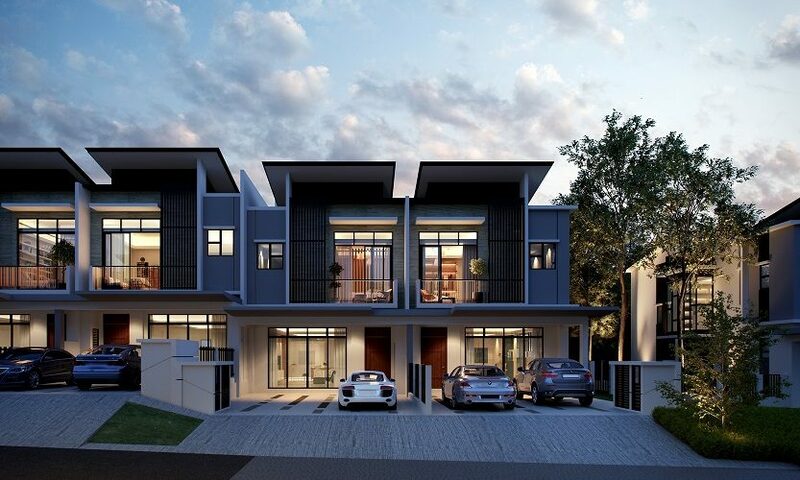 Featuring a modern and linear design, the homes appeal to a mature-yet-urban market, said SP Setia. Gloris features a modern and linear design to appeal to a mature-yet-urban market. The company said that at least 10% of the development, or over 80 acres of land, will be reserved as green zones for parks, landscapes and pocket gardens. Generous streetscapes as well as turfed and manicured banks of engineered waterways and ponds further enhance the green concept. The project subscribes to a “green street” concept. The Gloris Collection subscribes to a ‘green street concept’ with all utility cables being laid underground and out of sight to allow verdant landscape and trees to flourish in the neighbourhood. Also of importance at Setia EcoHill is the provision of a safe and secure environment for residents within the gated and guarded enclave. Each home comes with a home alarm system and intercom linked to the guard house, while 24-hour security patrols as well as strategically placed CCTV surveillance runs all day to enhance security. This is boosted by the AgilFence Perimetere Intrusion Defense System – technology that is currently being employed at Singapore’s Changi Airport. Expanding on the lifestyle appeal of Horizon Residence and the facilities available at Club 360°, Koh said in addition to a be a grand ballroom for private functions and events, the clubhouse will host a REAL Kids Kindergarten. For the added convenience of the community, the club will also be home to retail units, a cafeteria and a bookstore. In conjunction with the launch of Gloris, new buyers will enjoy a two-year-free club membership at Club 360°. 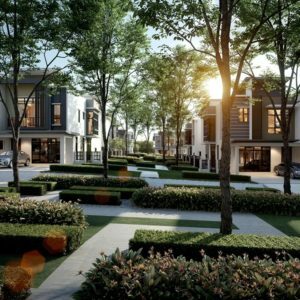 Additionally, Setia EcoHill is offering easy home ownership packages, including attractive early bird discounts as well as free SPA, Loan Agreement legal fees and Memorandum of Transfer (MOT). Visitors at the event were offered an in-depth look at the lifestyle on offer.